Business is bad for Curtis Jackson right now, and when you’re leaking money sometimes you have to get creative in replacing it. According to Business Insider, 50 Cent is has filed a lawsuit accusing the law firm that represented him in his headphone lawsuit of giving him shoddy representation. 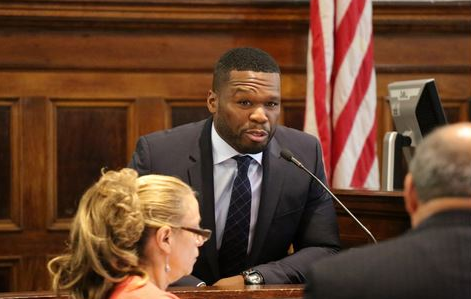 50 Cent — who filed for Chapter 11 bankruptcy protection in July — submitted the complaint against Garvey Schubert Barer in the Connecticut bankruptcy court Tuesday seeking $75 million in damages. Sleek missed its launch deadline and never ended up marketing the headphones, according to 50 Cent’s complaint. The rapper decided to form his own company, SMS Audio, to launch the headphones, and he claims his lawyers at GSB assured him he wouldn’t be infringing on intellectual property rights held by Sleek. Among GSB’s numerous failures was its inexplicable decision not to call technical and damages experts to rebut expert testimony offered by Sleek — failures relied upon by the arbitrator in crediting Sleek’s experts and entering an eight-figure award in Sleek’s favor. It’s hard out here for the G-Unit general right now.